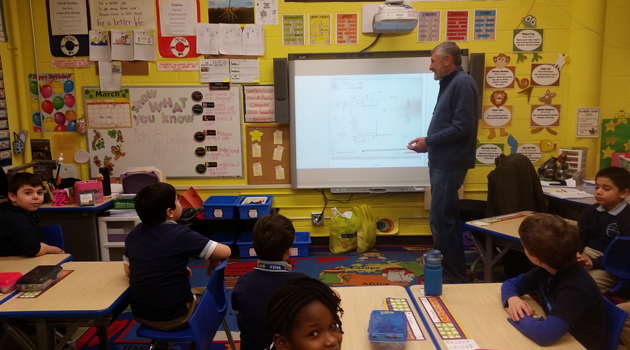 Ms. Chulyakov’s dad came to 2C to discuss how he uses measurement in his everyday life. Mr. Chulyakov owns a kitchen company and demonstrated how he uses measurement to design and install kitchens. He brought blue prints and pictures. 2C students then used grid paper to design their own bedroom using measurements and dimensions.